Incorporating in Nevada may seem attractive to businesses for tax purposes. Corporations flock to Nevada due to the lack of personal income tax and corporate taxes. Since taxes are such an important factor of owning a business, it’s important to keep up to date on any good and service changes. As a business owner, there are other factors that may affect your business if you incorporate in Nevada. In this article we will discuss considerations for incorporating in Nevada. Unlike other states, Nevada doesn’t have an information sharing agreement with the IRS. This means that some of your business records may remain private. This is advantageous when your business handles a lot of confidential information. You can also stay out of the public record as a shareholder. With states that have information sharing agreements, the inner workings of your business can become public record. This can make you a target for creditors and litigious attorneys. Stay out of the public eye and avoid lawsuits entirely. You can focus on building your business without fear of litigation. This should be at the top of your list when deciding whether or not to incorporate in Nevada. If your business makes over $50,000 in a quarter, you will be subjected to a modified business tax. This business tax affects business owners that have several employees. You will be taxed 1.475% on wages over $50,000. If you run a small business this tax will not affect you at all. However, if you have 2 or more employees than you should factor in your payments for the MBT. Many business owners are often blindsided by the MBT because they think that Nevada doesn’t tax corporations. Though you may pay lower taxes, you will still be taxed in other ways. Before incorporating in Nevada, make sure that you understand the taxes for business to avoid getting audited. If your business is headquartered in one state but incorporated in Nevada, your business a foreign company. NRS Chapter 80 establishes certain rules and guidelines that you must follow if your business is headquartered in another state. This may put pressure on your business to follow conflicting laws from to two states. To ensure that this provision will not affect your business, conduct research on your state’s corporation laws. Many popular business are now headquartered in California. Be aware that California has very strict laws and regulations regarding foreign corporations. Depending on where your business is headquartered, there may be significant legal ramifications to incorporating in Nevada. If you do business in other states, you will be taxed by those states. This significantly affects businesses with offices in several states. Each state will tax your place of business individually. The cumulative taxes from other states may be greater than not paying corporation tax in Nevada. You also need to consider that some states have franchise taxes for doing business. You may actually have to pay more money over all. If your business operates solely in Nevada, this will not affect you. However, this is something you need to keep in mind before you incorporate in Nevada. Many business owners fail to consider filing fees, which greatly impacts your salary. Although your business may benefit from lower taxes, you will have to pay higher filing fees. Your initial filing fee will be $615, five times higher than California’s filing fee of $120. You also have to pay annual fees that total $1010, compared to California’s $810. Other states like Delaware have lower annual filing fees as well. If you run a small business, these fees can outweigh your tax benefits. Filing fees are a costly expense that will cut into your profit margins over time. If you run a larger business, these fees may be inconsequential compared to your returns. Compare your fees to your tax benefits before incorporating in Nevada. 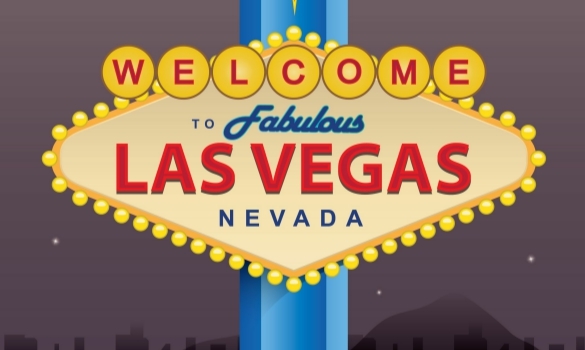 Nevada may seem an ideal location for your corporation. However, you need to consider whether the benefits outweigh the demerits. Before incorporating, consider filing fees, state taxes, foreign corporation status, modified business taxes, and privacy. Make the right decision for your business and do the research first.